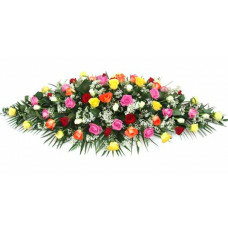 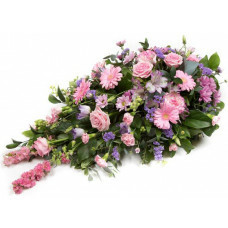 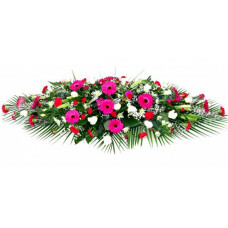 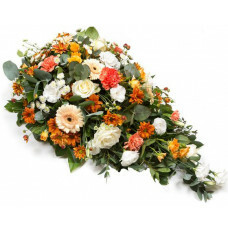 Sending funeral flowers to Maghull, Lydiate, Melling, Aintree, Aughton, Ormskirk, Bootle and surrounding area of Liverpool and the funeral directors in the area has never been easier, quicker or more reliable. 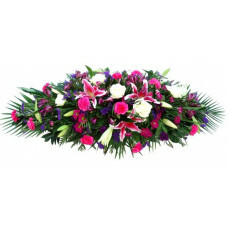 Yellow & White Carnation casket spray - yellow and white large headed carnations nesting in a be..
- A Traditional vibrant cerise pink funeral arrangement for the top of..
Cerise gerbera double ended spray - A funeral arrangement of cerise gerberas carnati..
Deluxe casket spray - A contemporary funeral spray arrangement for on top of the coffin co..
Everton Blue and White Rose Casket Spray - A popular funeral spray of Blue and whit.. 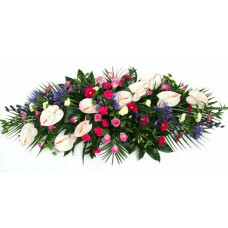 Autumn mix of lovely orange lillies and white avalanche roses coupled in a bed of luxury foila..
A pink pastel arrangement of soft pink and lilac tones make up this lovely casket spray hand crafted..
An elegant Cerise Pink Mixed Funeral spray of seasonal flowers in stunning bright tones includi..